When it comes to chemical storage tanks, you always want something you can rely on. You want a tank that is low maintenance, cost effective and is sturdy enough to take whatever is thrown at it. Two of the most popular types of storage tanks are fiberglass and polyethylene. To make it easy for you to learn about these types of tanks, I pulled together 5 key differences. Manufacturing - Fiberglass tanks are handcrafted in production, which is labor intensive and creates opportunities for human error. The poly chemical storage tanks engineered production is controlled by an automated process. This eliminates the risk of human error. Construction - Fiberglass storage tanks are not one-piece vessels. They contain seams where leaks tend to occur. With a seamless one-piece molded construction, polyethylene chemical storage tanks reduce this risk. Maintenance - Since fiberglass storage tanks are subject to leaks at seams, corrosion of the tank develops over time. Careful maintenance and inspection of the storage tank is needed, often requiring confined space entry. Without seams and different interior coatings, and given the corrosion resistance of poly storage tanks, maintenance and inspection of these tanks is far less labor intensive. Size - Because of the may fiberglass tanks are manufactured, they are available in much larger sizes. When chemical storage tanks exceed 12,000 gallons, fiberglass is the only option. 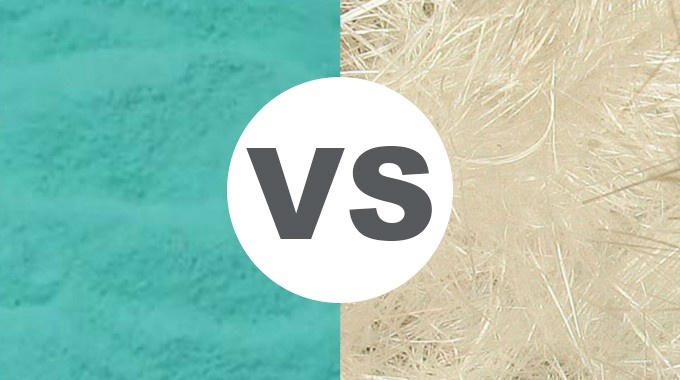 Cost - In addition to the challenge of controlling the quality, fiberglass is expensive. Resin rich corrosion barriers designed for common chemicals can increase these costs significantly. Due to lower cost of materials and expense of the manufacturing process, poly storage tanks have a much lower cost per tank. These 5 differences I included in this article are the most critical points to consider when purchasing a chemical storage tank. They will help you make the right decision. Next time you are shopping for a chemical storage tank, take this list with you and make sure you purchase the tank that is best suited to your application.